All 6 puppies are now in homes! Big thanks to all of our dedicated volunteers who helped clean puppy poop, give them baths and socialize them while they were with us. 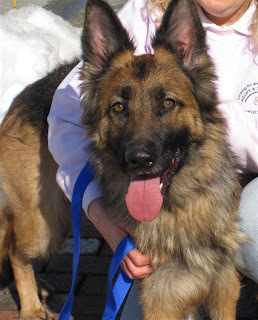 We took in a German Shepherd from the Brockton dog pound today. We named her Autumn. She is going to the vet to be spayed and vaccinated tomorrow. The photos were taken before she had her bath, so she is even prettier now.